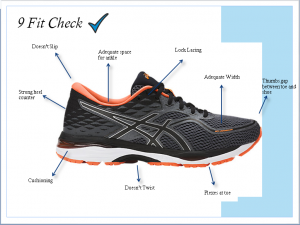 EVERYTHING YOU NEED TO KNOW ABOUT CHOOSING THE RIGHT SCHOOL SHOE! Will the shoe last for the whole year? Are they the right shoe for my child? If I buy the most expensive shoe does that make it the best? These are common questions we hear and get asked very regularly. So here is a guide for you to use this year when buying school shoes. This style is perfect for your very active little one that likes to run around but can get a little rough with shoes. The leather makes the shoe more durable and protects the foot. However, this style is heavier and is definitely more of an all-round shoe and isn’t designed for specific activities. The mesh sports shoe is a very popular choice as it is light, breathable and great for running. It’s a great option for those kids that get smelly feet, and/or use these shoes for their sporting activities. Due to the upper material you may find this sort of shoe needs replacing regularly. For a lot of schools this is common dress code. For the younger ones we recommend going for brands such as Ascent or Skobi as they are designed to look like a formal shoe but still are comfortable enough to be used for running, jumping, skipping and hopping. Children grow, and can grow rapidly. 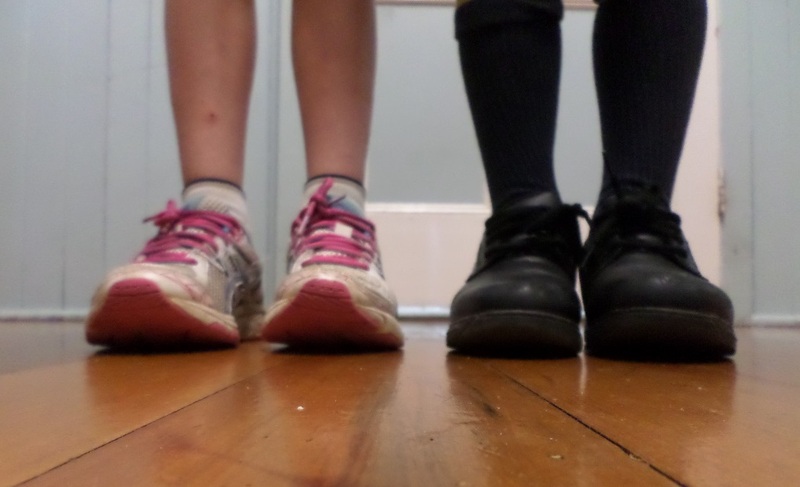 When choosing the size of your school shoe it is important as it can have a huge impact to how your child functions. We want the shoe to be long enough so there’s growth room but not too long so they don’t trip. As a rough rule we generally advise to have around 1 cm from where their longest toe ends to where the shoe ends. If you’re not sure we advise to go get measured up properly at a shoe store. If your child wears orthotics you may find you need to go up a size anyway to help fit the device. See below our 9 fit checks. This can be tough to figure out. It is a little bit of you get what you pay for. Often the cheaper the shoe is the less material and quality of the material used to make it. Often these shoes will have rubber removed from the sole (we have all seen these when they wear through they look like a series of hollow square boxes in the heel). They will also have lighter weight material making up the back of the heel this will often be cardboard instead of a polypropylene type material, which means if your child is like so many and does not untie there shoes then they will very quickly look more like a moccasin then a shoe. Alternatively the most expensive is not always the best either and this is where you need to match your child to the shoe. If they are perfectly healthy with no signs of flat feet foot leg or back pain run happily and have an active life style then looking at your mid range shoe s the way to go. If your child has flat feet leg pain or some other diagnosed problem then sometimes you will need that expensive shoe, as they provide control features that your average shoe does not have. In this instance if you are unsure it is best to ask a qualified shoe fitter or your health professional. Remember if in doubt we are always happy to help! As retailers for the Skobi brand of podiatrist designed school shoes we also stock a variety of shoes that may meet your needs. ← My child looks like they have flatfeet!….Do I need to do something about this?